Brian and Stacey Van Lente have launched a HUMAN Healthy Vending (http://www.healthyvending.com) franchise in their Sacramento community. HUMAN Healthy Vending's machines are socially-responsible, vend better-for-you snacks and drinks, and can comply with the USDA's proposed "Snack Rules." Being on the go, we realize how difficult it is to find healthy snacks. We see the need in our own community for healthier choices and we feel that we can help. Brian and Stacey Van Lente have partnered with HUMAN Healthy Vending – the nation’s leading franchisor of healthy vending businesses – to ensure that the greater Sacramento community has convenient access to healthful foods and beverages. 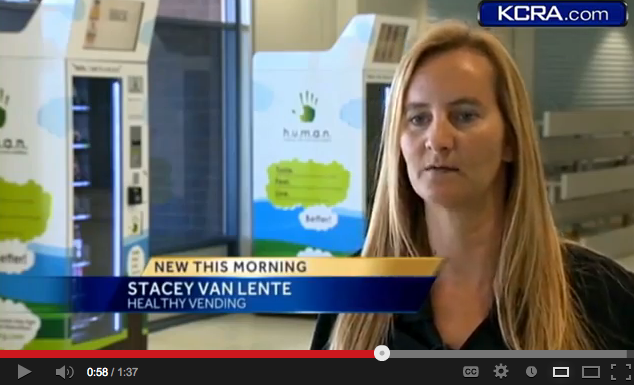 Currently, the Van Lentes have secured locations for HUMAN Healthy Vending machines in Elk Grove, and surrounding areas, at Folsom Middle and High School, Sutter Middle School, Mitchell Middle School, Folsom Parks and Recreation’s "Cave" at Sutter Middle School and Folsom Middle School, Sacramento State Aquatic Center, Lincoln Law School, Boys and Girls Club-Raley Branch, McClellan Business Office, Lions Gate Hotel, and Lions Gate Convention Center. Prompted by the lack of convenient healthful snack options available on-the-go for their two competitive-soccer-playing young boys, the Van Lentes knew they had to be the change they wanted to see in their community, so they became franchisees of HUMAN Healthy Vending. 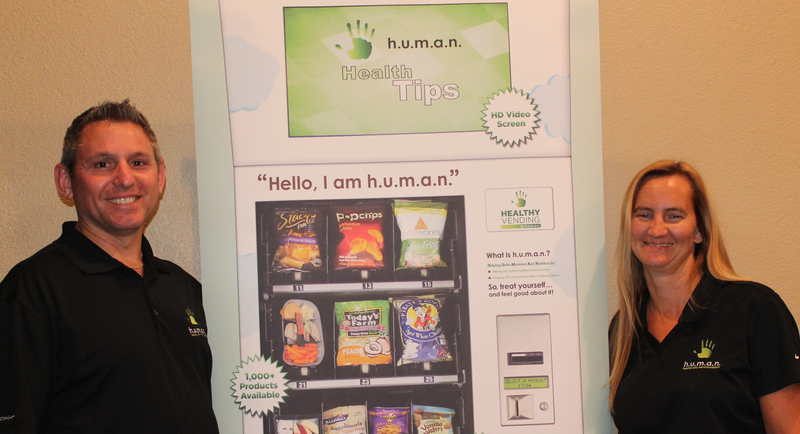 HUMAN Healthy Vending is an award-winning franchisor of eco-friendly and high-tech healthy vending machine businesses. HUMAN’s machines vend better-for-you foods and beverages, including fresh fruit, hummus and minimally-processed snack bars. The Van Lentes’ healthy vending machines in schools provide wholesome snacks that are a better alternative to the foods and drinks typically found in school vending machines. With the USDA’s recent proposal to improve the nutritional quality of snack foods sold in school vending machines, a la carte and in student stores (a.k.a. “competitive foods”), schools across the nation will be turning to healthy vending to assist them with compliance and improved student performance. The Van Lentes are positioned to provide schools with a product mix that meets the impending guidelines so that schools may painlessly make the transition. At a time when the nation is experiencing a healthcare crisis and rising rates of chronic, and largely preventable, diseases, the Van Lentes are proud to be a part of the solution. The Van Lentes are available for phone and video interviews and can coordinate interviews with owners and/or management at their machines’ locations. Photos, as well as video footage, of HUMAN Healthy Vending machines are immediately available upon request. 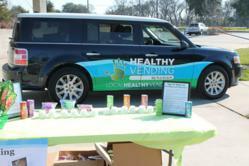 The Van Lentes may be reached at (916) 585-4564 or contact Stacey at Stacey.vanlente(at)healthyvending(dot)com. Those interested in owning their own HUMAN Healthy Vending franchise, or in having a HUMAN Healthy Vending machine at their location, may call 310.845.7745 or visit http://www.healthyvending.com.